Being blind has never stopped Monash University alumna Faaolo Utumapu from chasing her dreams. Ms Utumapu, from Samoa, has been motivated to achieve highly during her fulfilling life. She is a full-time Samoa University lecturer, a disability rights advocate, a National Media Council of Samoa member, a Sunday school teacher and mother to her five-year-old son, Saunoa Isaac Utailesolo. 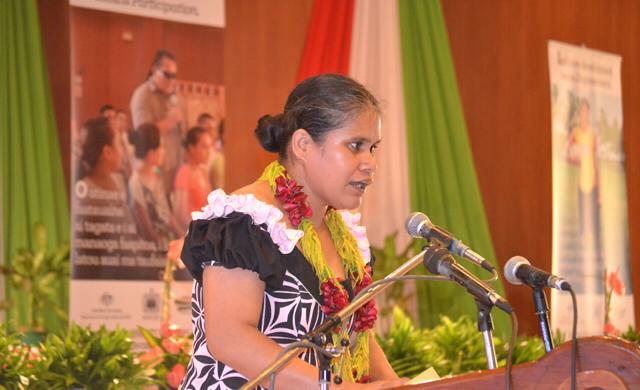 Ms Utumapu said her challenges in life allowed her to thrive as a person. The Master of Communications and Media Studies graduate started her education in Samoa in the 1990s. Ms Utumapu had limited access to materials in braille. She also had limited interaction with teaching staff who were trained to support her needs. 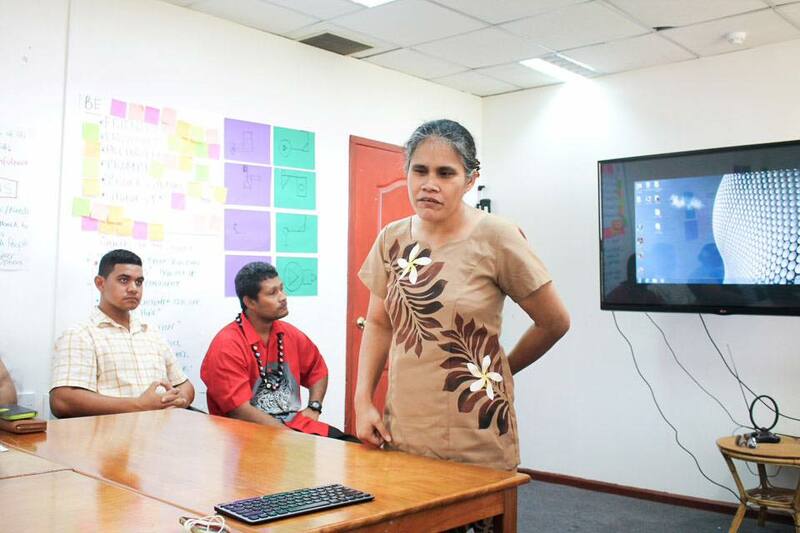 “Now we have the government of Australia supporting inclusive education through funding,” Ms Utumapu said. “Back in my time there was nothing of the sort. Monash University alumna Faaolo Utumapu. However, with excellent support from her family and an organisation to help blind persons, Ms Utumapu was able to access good education. She was awarded a scholarship to complete her high school studies in New Zealand and later completed a Bachelor of Communication Studies at the Auckland University of Technology. After obtaining her undergraduate degree, Ms Utumapu travelled to Melbourne to study for her Masters’ degree. “Studying at Monash was a great experience and had a lot of impact on my life and career,” Ms Utumapu said. Ms Utumapu said she learned to “find myself and grow as a person” at Monash, as it was the first time she was on her own.“In New Zealand I was with family. In Melbourne, I had very little family involvement, but made long-lasting friendship as I had good friends who were like family,” she said. Communications and Media Studies Associate Professor Mark Gibson worked closely with Ms Utumapu during her time at Monash. “Faaolo was a terrific student to have in class, continually showing how it is possible to overcome disability,” Associate Prof Gibson said. Ms Utumapu works as the secretary for Samoa’s Disability Advocacy Nuanua O Le Alofa and has a role in communications for the Deaf Association of Samoa. “Despite the Australian Government’s support, there is still a lot of work to be done to improve conditions for people with disabilities in Samoa,” she said. “There is a lack of opportunities and the awareness of disability rights is still not well received.